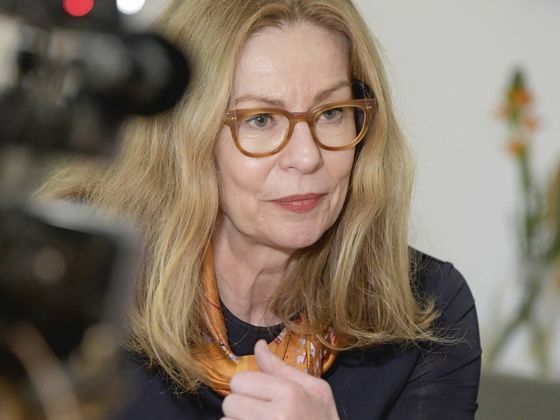 (Bloomberg) -- Swedbank AB has fired its chief executive officer, Birgitte Bonnesen, amid allegations the bank was used to launder billions of dollars in Russian money on her watch. Bonnesen, 62, will be replaced on an interim basis by Chief Financial Officer Anders Karlsson, the bank said on Thursday as the board prepared to face shareholders at an annual general meeting in Stockholm. 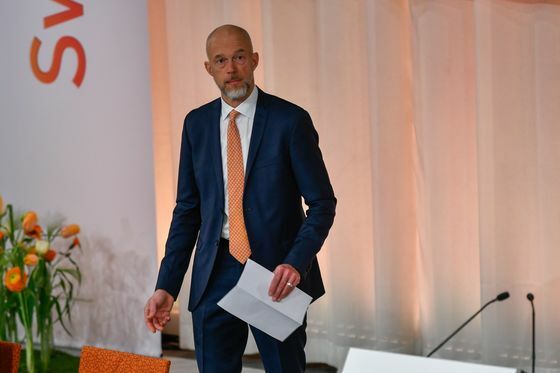 The announcement came just moments after three of Swedbank’s biggest investors made clear they’d lost confidence in Bonnesen, after she appeared to mislead the public about the seriousness of the laundering case. The scandal has rocked Sweden, a society usually associated with low levels of corruption and high standards when it comes to transparency. Swedbank is the country’s oldest lender and the nation’s biggest provider of mortgages, placing it right at the heart of the Swedish financial system. The case also reinforces concerns that laundering is a much bigger issue than first assumed, with many of Europe’s biggest banks recently implicated in dirty money scandals. Swedbank is being investigated by the financial supervisory authorities of Sweden and Estonia, while the U.S. is also looking at the case. That follows claims that the bank was a conduit for some of the former Soviet Union’s most notorious strongmen, including deposed Ukraine President Viktor Yanukovych. Former Trump campaign manager and convicted felon Paul Manafort also reportedly received money via the bank. Swedbank’s headquarters were the target of a police raid on Wednesday, as part of a separate probe to find out whether it breached insider rules by giving its biggest investors advance notice of a Feb. 20 laundering report. After markets closed, it emerged that the bank was also being investigated for fraud. Trading in Swedbank shares has been suspended since mid-morning. The latest revelations have wiped more than $7.5 billion, or roughly a third, off the bank’s market value since last month. “The developments during the past days have created an enormous pressure for the bank,” said Chairman Lars Idermark. He had expressed confidence in Bonnesen as recently as last week. The terms of Bonnesen’s contract suggest that she will walk away with about 22 million kronor ($2.4 million). Some Swedes expressed dismay, via social media, that the outgoing CEO will be able to draw her salary, while others questioned the appropriateness of the chairman continuing. Shareholders at the AGM voted not to free Bonnesen of liability for 2018, clearing the path for potential lawsuits against her. The bank is alleged to have handled as much as 20 billion euros ($23 billion) in questionable funds each year between 2010 and 2016 in Estonia, SVT reported this week. The figures are considerably larger than first thought and come amid reports that Swedbank allegedly also misled U.S. authorities regarding its suspicious customer activities. The tone of Thursday’s AGM was a clear departure from Swedbank’s previous efforts to dismiss allegations. Idermark apologized for the bank’s approach, telling shareholders he “deeply regrets” the developments. “Trust [in the bank] has taken a beating,” he said. The allegations tie Swedbank to Danske Bank A/S’s $230 billion Estonian laundering scandal. Bonnesen, who ran Swedbank’s Baltic banking operations in 2011-2014, is being kicked out after trying to deny any link to that case. She was named CEO in 2016, following the departure of her predecessor Michael Wolf. He was briefly investigated for questionable transactions, but the case was subsequently dropped.